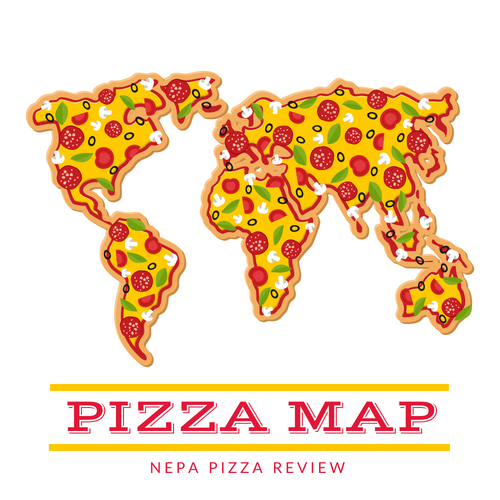 On the NEPA Pizza trail, I haven't really had a chance to visit the same pizzeria multiple times. First, because it's my mission to try as many places as possible, and second, because I have been hesitant to do repeat reviews. Well, I think it's time for me to get over that, and just write about every pizza experience that I have as long as I have something interesting to say and that it's unique from the previous time I reviewed the place. Several people have emailed me asking for second chances, so I think we are going to change how we do things a little bit! On top of all of that, my girlfriend's favorite pizza in the whole world is from Armenti's Pizzeria in Olyphant. I enjoyed it the first time as well, when I reviewed the New York Style Pizza so naturally I gave in and agreed to return! Just as a refresher, Armenti's is a small pizzeria in Olyphant, near the Mid Valley Schools in the industrial park. There is a small strip mall, and Armenti's is in the center of it. The last time we were there, the owner and his wife treated us very well, and they had no idea that we were pizza critics. This time, when we returned, we were again treated like royalty just like all of the rest of their customers. I truly believe there's something to be said about receiving excellent service and being treated like family. You can just feel that these people enjoy preparing food for their customers, greeting them with a warm smile, and sending them home happy. The first lady's favorite pizza here is the New York Style Pizza, so we had to order one of those, but this time I wanted to try something different, so I went with the Grandma Pizza. This style of pizza is really gaining popularity in Northeastern Pennsylvania, and I wanted to start documenting it! I was even more excited to document the pizza with my brand new Sony digital camera which I recently purchased to take better pictures for all of you. (Several people commented that they could tell I use my cell phone for photos, so to those of you who suggested I step up, this one's for you). The New York Style Pizza came to our table first, so we worked on taking a few pictures of that to pass the time until the Grandma Pizza was ready. For the record, the pizza was every bit as good as the last one we had, if not better. The first lady gave it two big thumbs up, so that recommendation still stands! So after causing a big scene with my giant camera, it was time for Grandma to come to the table. She looked stunning with a vibrant red sauce, deep green basil, lovely white mozzarella and Parmesan cheese, and a golden brown crust. This pizza just looked like Italy to me. I'm not sure if it was just the colors of the Italian flag, or the twinkle in the owner's eye knowing that he just served up a great pie to us. This was one of those pizzas that I probably didn't even have to taste to know that it was delicious, that's how good it looked. So what is a grandma pizza? Slice the Pizza Blog defines Grandma Pizza as "essentially a thin crust Sicilian pizza" which to me is a simple, yet perfect description. Grandma Pizza is not Old Forge Pizza, although it is square or rectangular in shape. So this pizza started out with a very thin crust about the thickness of a New York Style Pizza and was made fresh on-site. At Armenti's The dough is pressed into a pan coated with oil, and baked. After the crust cooks in the oven for a bit, it is pulled out of the oven and the real fun begins. The owner adds one of his three special tomato sauces, Parmesan cheese mozzarella cheese, and a few other special ingredients that he couldn't mention. When the pie comes out of the oven, some fresh chopped basil is sprinkled on top, and this creates the dramatic effect that you see in the photos. How does it taste? In my first bite, I was overcome by the succulent and decadent sweetness of the highest quality tomatoes, and fell in love with this sauce immediately. I literally could have just eaten a bowl of this sauce it was so good. If you like a hearty sauce with a lot of flavor, this is for you. The crust was so thin, so crunchy, and so flavorful that it was the perfect complement to the tasty sauce. On top was a wonderful combination of mozzarella cheese, which held it all together, and Parmesan cheese which really brought the flavor and served as a nice contrast to the naturally sweet tomatoes. I'll admit, I'm an Italian who isn't the biggest fan of basil, but the basil on top was not cooked on the pizza so the flavor was subtle, and I definitely thought it belonged there. It also completed the look of the pizza. If I had any experience in photography, this thing would have been magazine quality. After eating way more slices of the Grandma Pizza than I should have, the owner came out to see how our pizzas were, and of course I shared my thoughts, but I asked what his motivation for making such a wonderful pizza was. The two words that I heard repeatedly were "family" and "homey." The grandma style pizza is something that he recalls fondly from home where is grandmother and mother used to make it. He really tries to emulate their family style in his pizza while adding his own twist to kick it up a notch. His family made everything homemade from scratch, so he uses that approach in his restaurant and it shows. It is for these reasons that Armenti's Pizzeria again receives the NEPA Pizza Review's highest recommendation.